Many caring people have volunteered in various ways over the years here at St. Greg’s for the St. Ben’s Meal Program. St. Ben’s is in the inner city of Milwaukee on 9th and State in an area where many poor families and homeless people live and congregate. Forty-Four years ago the Capuchin Order saw a tremendous need to help the hungry poor. They started the meal program at St. Benedict the Moore Parish. Since that early beginning a hot meal has been served six days a week, fifty weeks out of the year. An average of 400 to 425 meals are served every day. 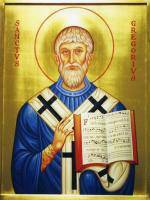 Our parish of St. Gregory the Great was asked if we would help. So it has been for about 44 years our parish has prepared and served a hot meal on the 4th Wednesday of every month with an average of approximately 5400 meals served per year. The volunteer group at St. Greg’s, about 10 men and women, some retired, some not, come together to prepare the food in the Tenpenny Hall Kitchen on parish premises. Here the food is transported to St. Ben’s in vans. salad, mixed vegetables, bread and bakery for dessert. The bakery is all donated, baked by parishioners. Serving the meal starts at 5pm and serves until 6:30 or until all who come are fed. At this time, it costs about $600 a month or $7200 a year in money donated by our parishioners for operations on our parish end. We can thank God for the blessings that have been bestowed upon us at St. Greg’s Parish and School. Remember the poor in your prayers and thank God for all who have cared and provided for you! God’s Blessings! IF you are a MEMBER of St. Gregory the Great Parish, please call the Parish Office at 414-543-8292 to volunteer. 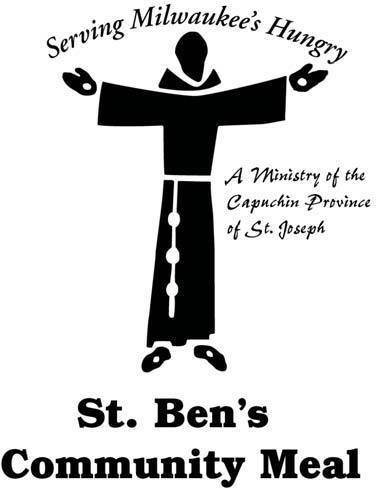 If you are NOT a member of St. Greg's, please call St. Ben's directly at 271-0135 to speak with staff there.